CISF Head Constable Admit Card 2019 – The Central Industrial Security Force (CISF) will release the CISF Head Constable Admit Card. The call letter / e-admit card will be made available at cisfrectt.in. For fetching the CISF Head Constable Admit Card 2019 candidates need to mention the Registration Number and Password on the login page. At first, CISF Head Constable Admit Card for the Height Bar Test / PST and documentation is issued. There are a total 5 stages of the exam namely; HBT / PST and documentation, Online / Written Examination, Skill Test and Medical Exam. From this page, candidates get full information regarding CISF Head Constable Admit Card 2019. Latest: CISF Head Constable Admit Card 2019 will be released soon. Admit Card is the Key to enter in the examination hall. The candidates who not carry their admit card on the day of the CISF Head Constable Examination those are not allowed to appear for the examination. Till now the test date has not been disclosed by the CISF. For more information regarding CISF Head Constable Admit Card 2019 check the schedule given below. Admit Card: The CISF Head Constable Admit Card 2019 is made available at cisfrectt.in. 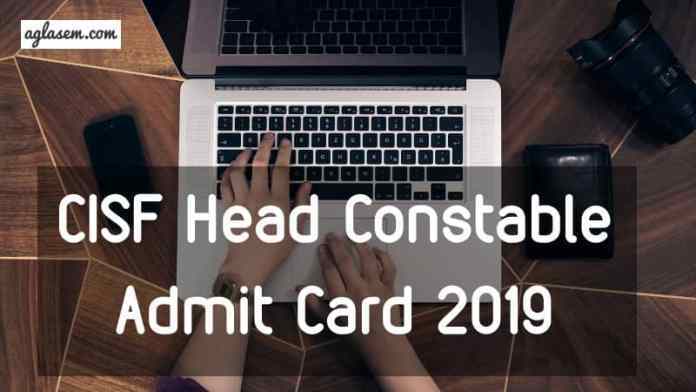 The candidates who have submitted the CSIF Head Constable Application Form 2019 before or till the last date for those candidates only CISF Head Constable Admit Card is issued at the official website. For all the candidates it is mandatory to carry admit card on the day of the examination. Candidates can follow the steps given below for downloading the CISF Head Constable Admit Card. Candidates can follow the steps given below for downloading the e-admit card. After downloading the admit card candidates should take the print out of it for future reference. Click at the above provided link. (As admit card will be released direct admit card login page will link will be updated above on the page). Fill the login credentials such as Registration Number and Password at the login page. Click at the download option for downloading the CISF Head Constable Admit Card. After downloading the CISF Head Constable Admit Card 2019 candidates should check the details mentioned on it. From below candidates can check the details which usually mentioned on the CISF Head Constable Admit Card. After downloading the e-admit card candidates should read the details mentioned on it properly. If the details mentioned on the admit card is incorrect or not matching from the details which you have entered in your application form and if candidates are unable to download the call letter / admit card then candidates should immediately contact at CISF Regional Recruitment Centre (RRCs) of the State to which he / she belongs. The candidates must contact at least one week before the commencement of the examination. 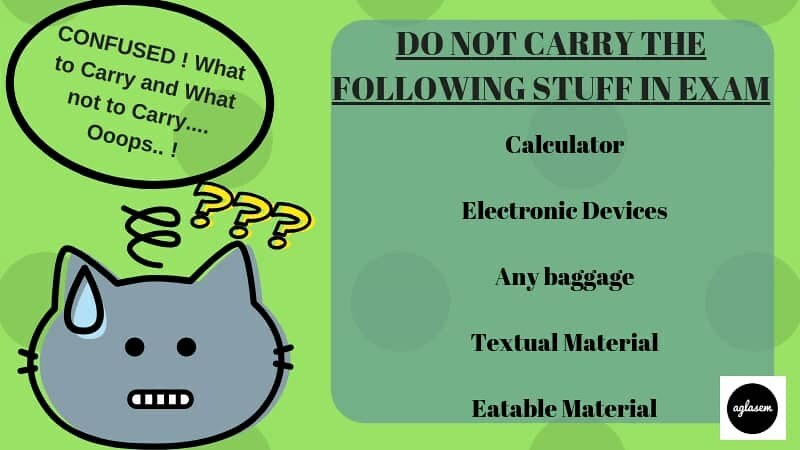 What To Carry Along With CISF Head Constable Admit Card 2019 On The Exam Day? Candidates should note that it is mandatory for all the candidates to carry CISF Head Constable Admit Card and the below-mentioned documents on the day of the CISF Head Constable Examination 2019. In the Height Bar Test / Physical Standard Test, the candidate’s height, weight, and chest is measured. Those who meet the physical standards are considered fit for the further recruitment process. In case candidate’s physical standard not match with the criteria given below then he/she is not selected for the further process. In the documentation round, the candidates have to present at the center with all original and self attest documents namely; 10th certificates (as a DOB proof), Educational Certificates, Qualification Certificates, Experience Certificate (if any); Caste Certificate (if applicable), domicile (if any), Employer Certificate (for departmental employee), Discharge certificate (for Ex-servicemen), ID Card, four passport size photograph etc. The carried documents should be the same as you have uploaded in your application form. The candidates who qualify the Height Bar Test / PST and documentation or those are shortlisted for appearing in the second round of the test for those candidates only CISF Head Constable Admit Card 2019 For Written / Online Examination is issued. Candidates can follow the steps given above for downloading the CISF Head Constable Admit Card. All the candidates who clear the first stage of recruitment have to appear in the written /online examination. The mode of examination is not fixed yet. The candidates who qualify the second round of the examination i.e. Written / Online Examination by scoring minimum qualifying marks (35% and 33% minimum qualifying marks for general and SC / ST / OBC category candidates) those are shortlisted. For the shortlisted candidates, the merit list is prepared. On the basis of merit list candidates is shortlisted for 3rd stage i.e. Skill Test and for those only CISF Head Constable Admit Card 2019 For Skill Test is released. Follow the steps described above for downloading the CISF Head Constable Admit Card. Note: Merit List is formed by considering three points that are a total number of qualified in the written exam, reference to the number of vacancies for each post and each category and cut off marks (appointed for each category). The candidates who qualify the written / online examination have to appear in skill test. The candidates tested for the typing speed on Computer in Hindi and English. English typing speed should be a minimum of 35 WPM. Hindi typing speed should be minimum 30 WPM. Note: Candidates who qualify the skill test and finally got selected those are called for Detailed Medical Test (DME). The Central Industrial Security Force is a Central Armed Police Force in India that functions directly under the Ministry of Home Affairs, India. Among its duties are guarding sensitive governmental buildings, the Delhi Metro Rail Corporation and providing Airport security. Currently, there are 1,48,371 employees recruited under the CISF. Every year the CISF recruits eligible and able-bodied candidates to fill up its vacant ranks. Through the CISF Head Constable Recruitment 2019, the CISF recruits candidates to fill 429 vacancies of Head Constable (Ministerial) temporary posts. Sir cisf hc admit card kab aaye gi sir?? When cisf head constable admit card will release ? As per your query their is no official notification regarding admit card . It is unexpected . Dear sir cisf ka admit card kub issue hoga …. Mugh b inform karna any body plz …..
CISF head constable admit card will be released soon. Stay Tuned. Till now the exact date of releasing the admit card has not been disclosed. For any update regarding the admit card do visit the page regularly. Till now the exact date of releasing the admit card has not been disclosed. CISF ka admit card jaldi he release ho jaye ga. Aap regularlary check krte rhe jaise he aaye ga yha update kar diya jaye ga.
Is link Mai tou kuch b nahi hai ….old information only …. Is this cisf head constable job is permenent r temporary? ?